We stayed in the small community of Three Rivers and faced an hour-long drive into the park each day. Luckily, it was a beautiful trek. We entered at the Ash Mountain entrance, where we were greeted by a sign carved by CCC workers in 1935. More CCC handiwork can be seen at Tunnel Rock. 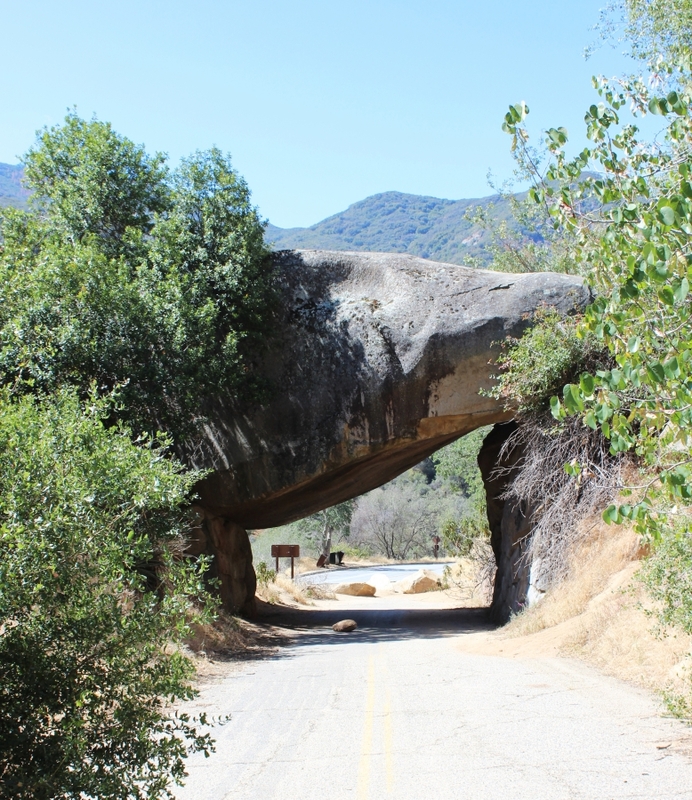 Cars used to drive through this tunnel as they wound their way into Sequoia, but due to the size of today’s cars, you’ll have to enjoy this tunnel by foot. 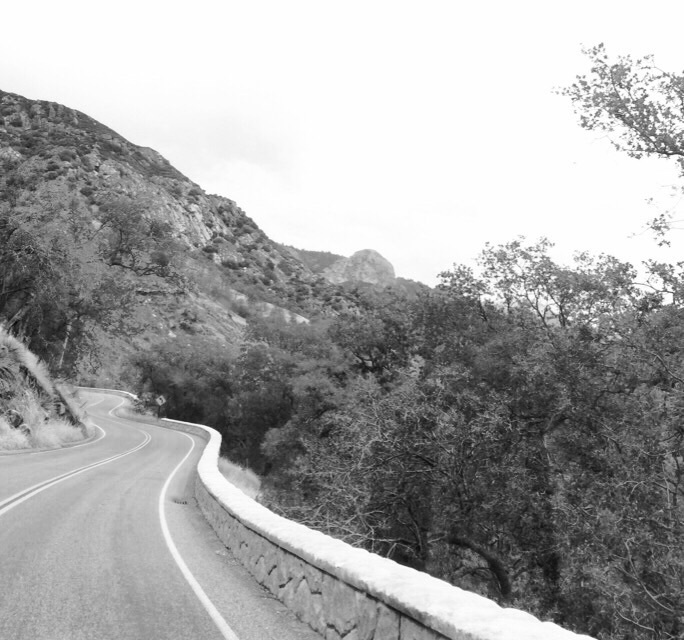 The roads into Sequoia felt a little like a horror movie to me. There’s twisting, there’s turning, there are sheer drop offs. This goes on for a full thirty minutes. I kept imagining our family vehicle plunging off the edge. Finally, we came around a corner and the view suddenly changed. This is where you truly enter the heart of Sequoia National Park. Chances are, you’ll say “Whoa! Look at that!” a dozen times. 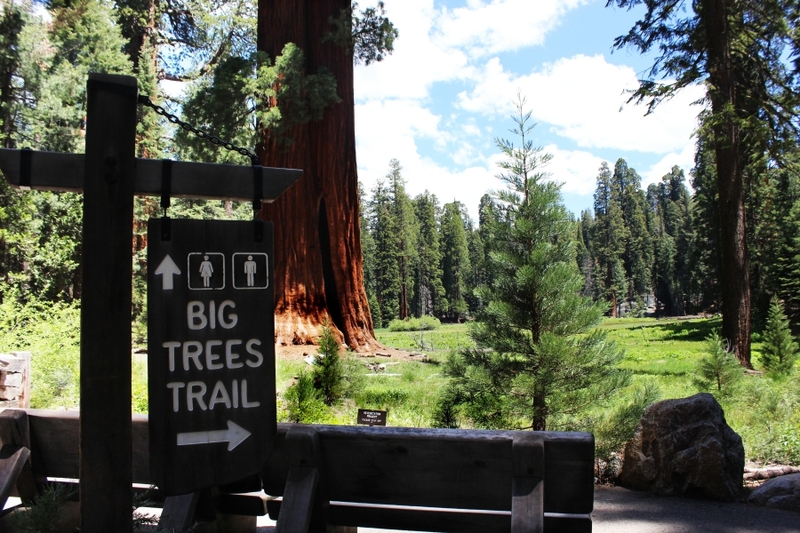 The first day, we explored the Big Tree Trail, which includes a small meadow surrounded by massive trees. If you need to navigate a stroller or wheelchair around the park, this would be the trail for you. 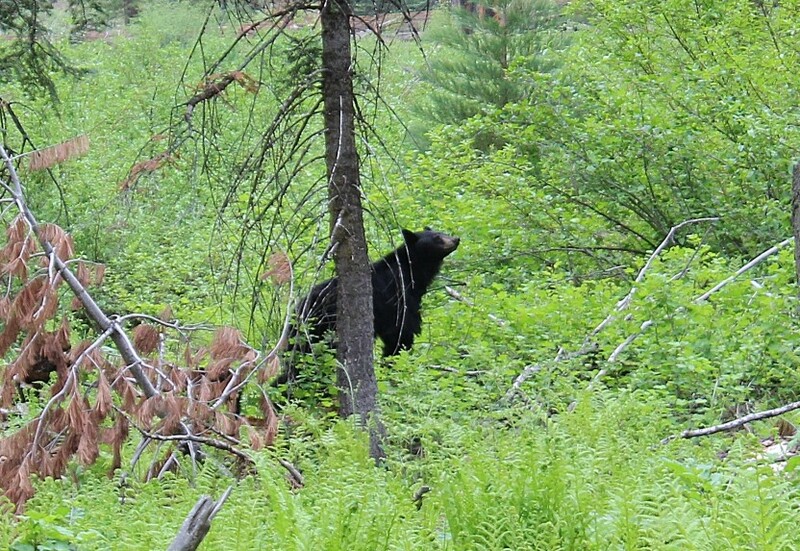 While the Big Tree Trail didn’t offer the best views of the trees, it did provide us with plenty of bear sightings. 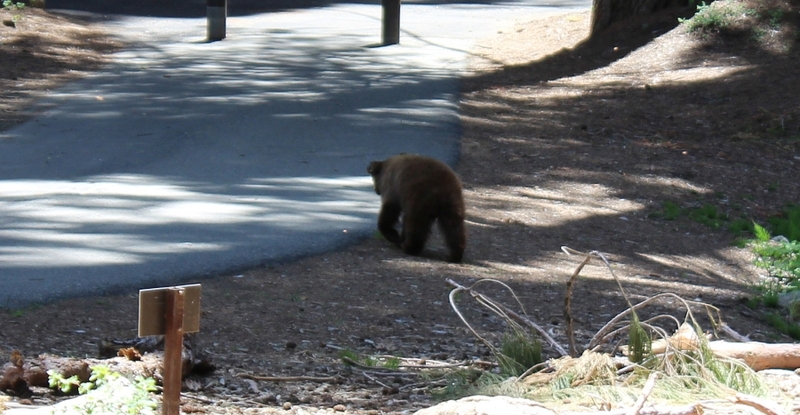 We stood 20-30 feet from bears as they ambled about their business. We even got to observe a mama lounging as her babies played in a tree. 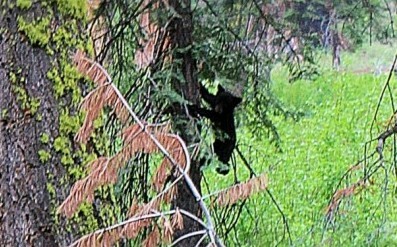 When I see a bear, I’m like, “ERMAHGERD! It’s a bear!” and I totally forget to focus on getting a good photo. My apologies for the blurry photos below. Hopefully, you can look at them and think, “ERMAHGERD!” too. 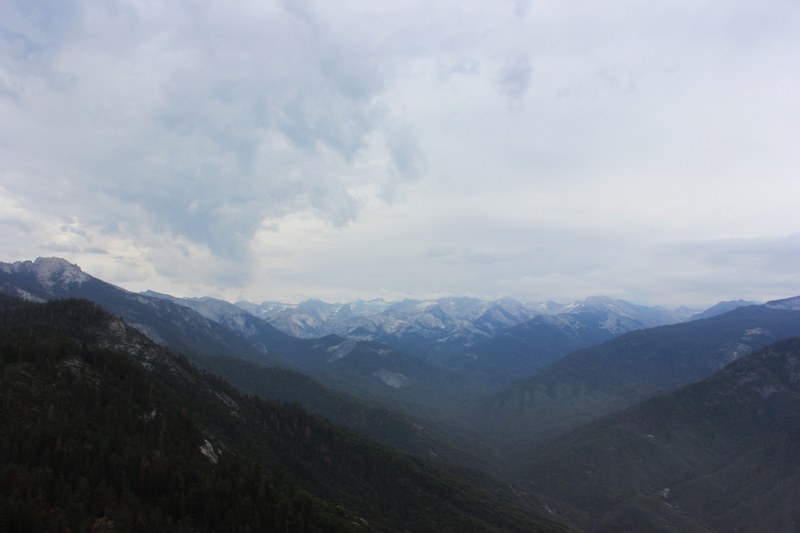 On our second day in Sequoia, the weather had drastically changed from our first day in the park. This day was a cool 60 degrees, and a fine mist filled the air…perfectly adding mystic to this majestic place. 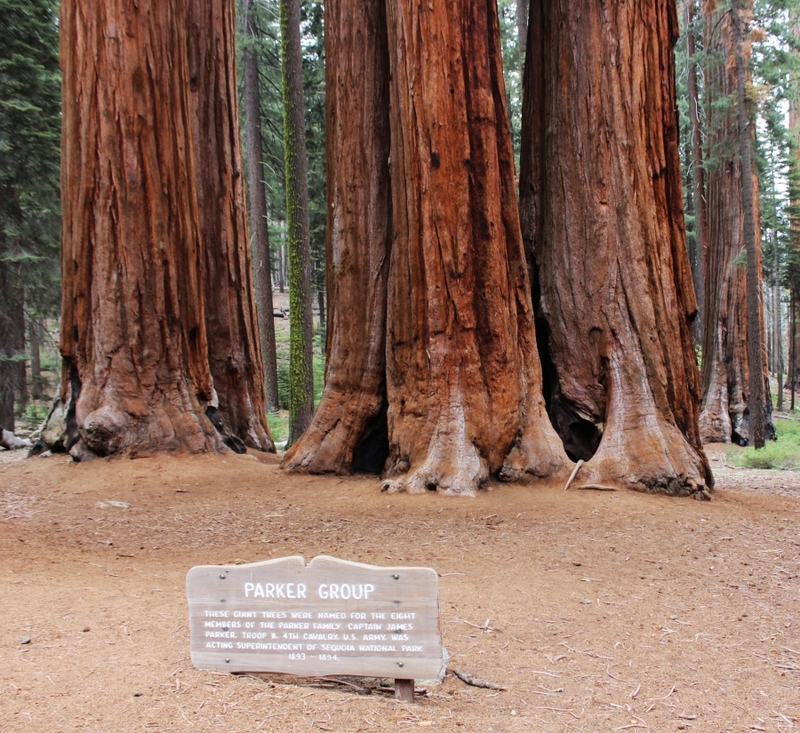 We opted to visit the Parker Group, a small grouping of giant trees. 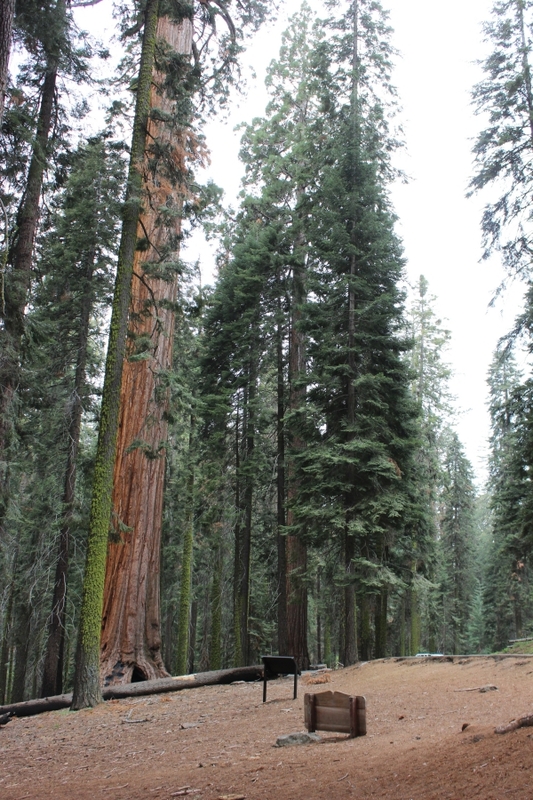 This was where I finally had my “Sequoia moment” and truly felt the cathedral effect. 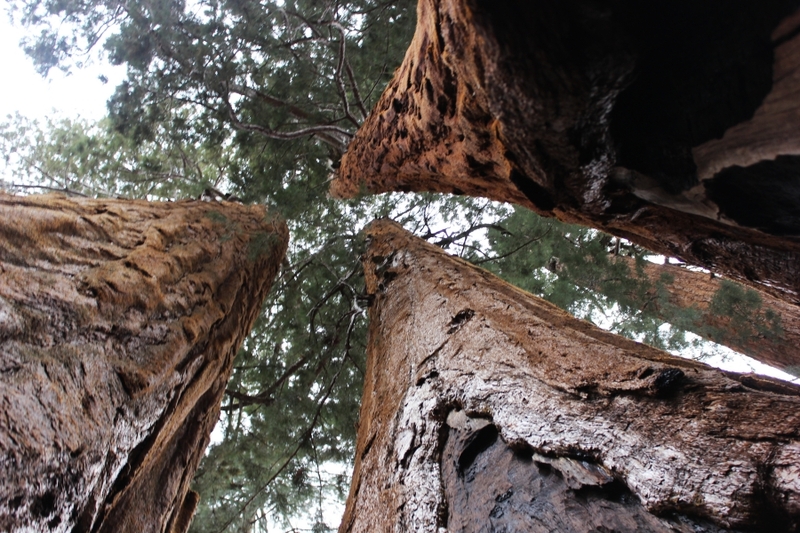 To really experience this place, you have to stand at the base of these giants and touch their red bark, knowing that some of these trees are 2000 years old. 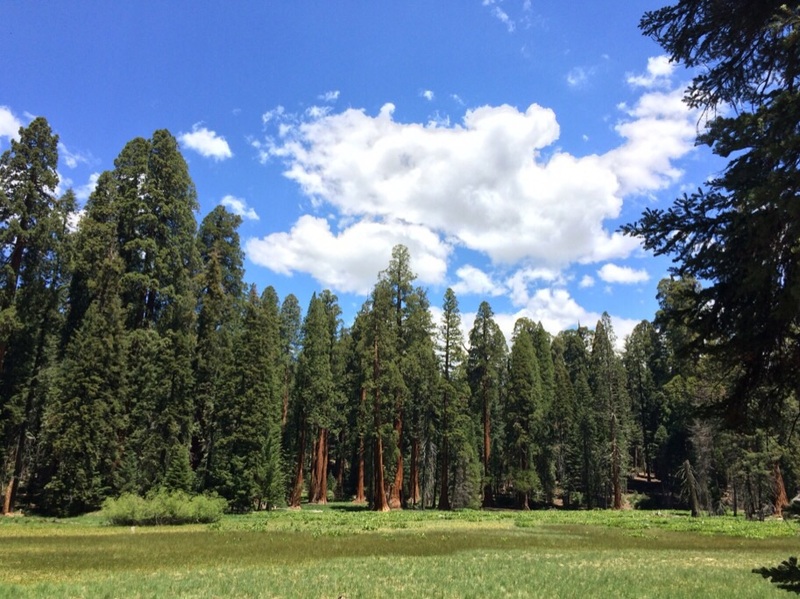 Photos cannot communicate the Sequoia experience. 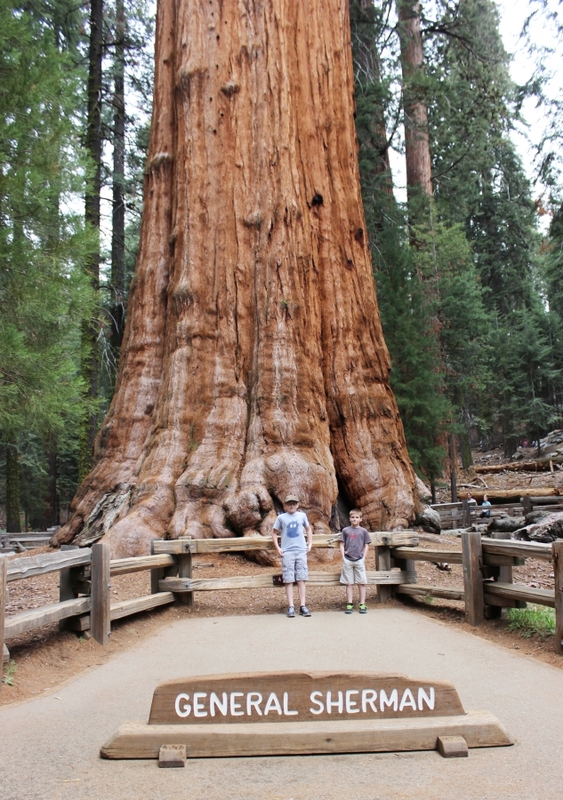 A visit to Sequoia isn’t complete without a trip to see General Sherman, the largest tree in the world, as measured by volume. An interesting trail wraps you around, and you approach Sherman from higher up and trek around and down before you finally see the massive base. Fallen trees can also be interesting to explore. 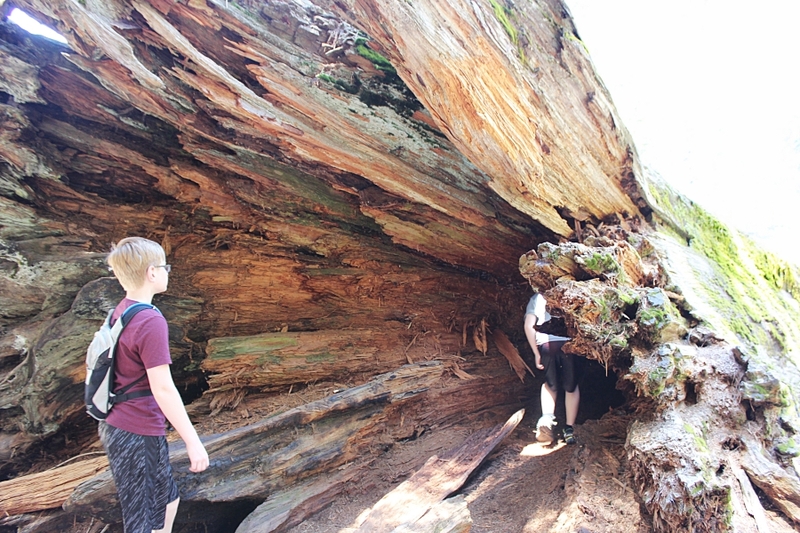 Our boys climbed inside one that they could crawl all the way through, like a cave. 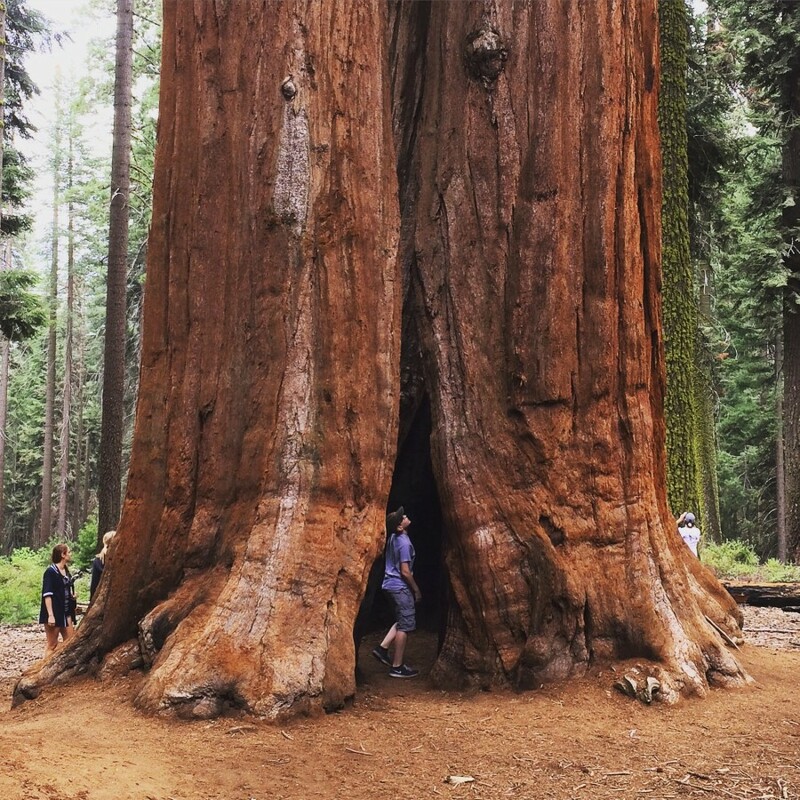 Another fallen Sequoia was turned into a tunnel in 1938, after visitors kept asking about a tree that could be driven through (that tree was actually located in Yosemite National Park). 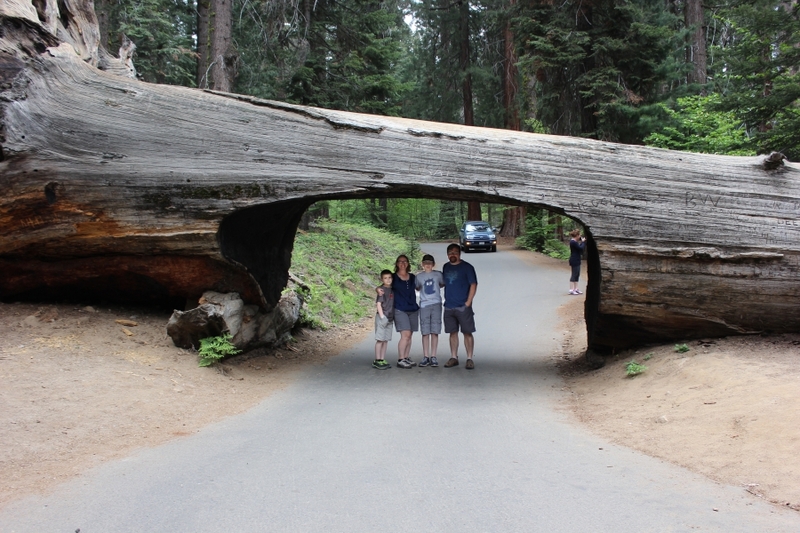 Visitors can still drive through this Sequoia tunnel if their vehicle will fit. If not, there’s a bypass lane. 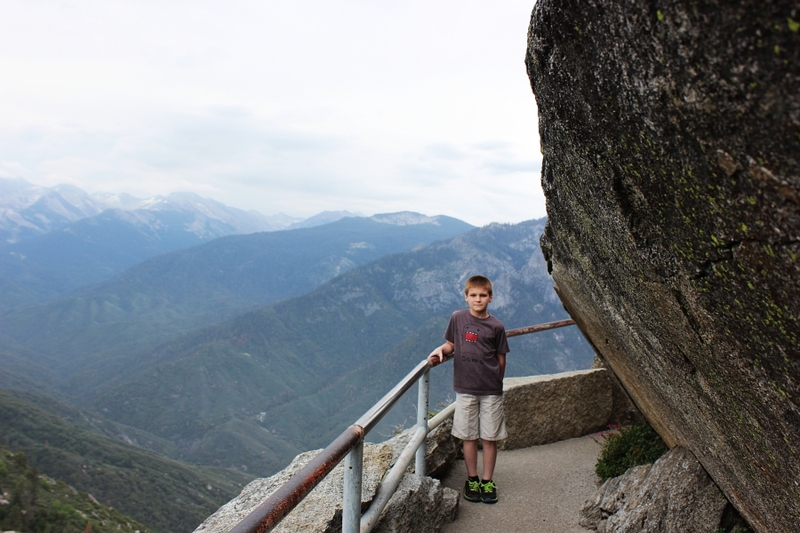 One final must-do experience in Sequoia is the walk up Moro Rock. I’m not sure whether to call this a walk or a hike or a climb. The trail is only about a mile round trip, but you will encounter 400 stairs as you climb 300 feet in elevation. The CCC built this staircase in the 1930s, and today, it allows even less-adventurous folks the opportunity to reach the top of Moro Rock. The trail is narrow and a little scary at times, but the view from the top is worth it. Along the way, we were surprised to see rock climbers on the face of the rock. They were taking a more adventurous path than we were! After some huffing and puffing (not TOO much), we finally reached the top. 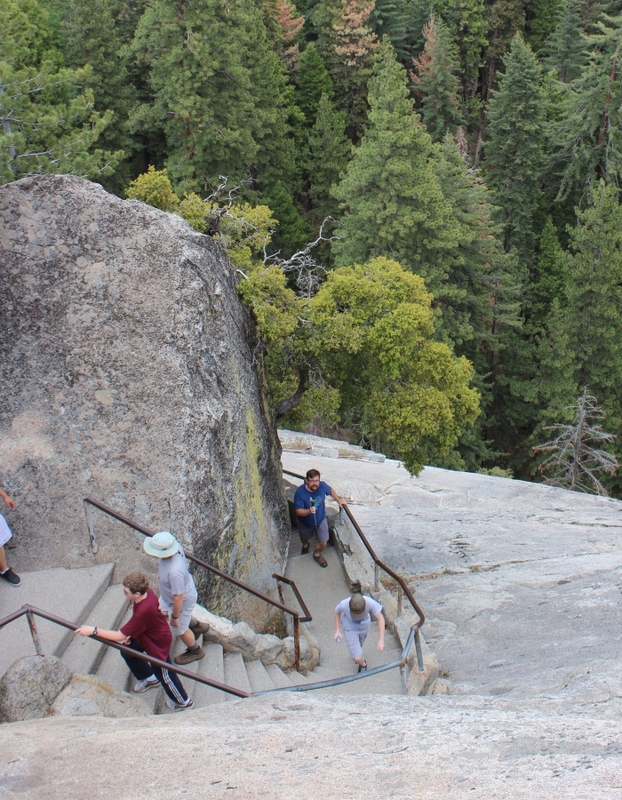 Visitors can walk all the way out on the summit of Moro Rock, which is fenced in with a small barricade. We felt like we were on top of the world. I think our boys will definitely remember this moment. When we got back down, I wondered whether anyone had ever fallen off of Moro Rock and was surprised to see that the National Park Service had actually addressed this issue on a billboard of safety precautions, which we were supposed to have read before our climb. I’m not sure I’m better off knowing these things or not. In either case, our family truly enjoyed our trek to the top of Moro Rock! 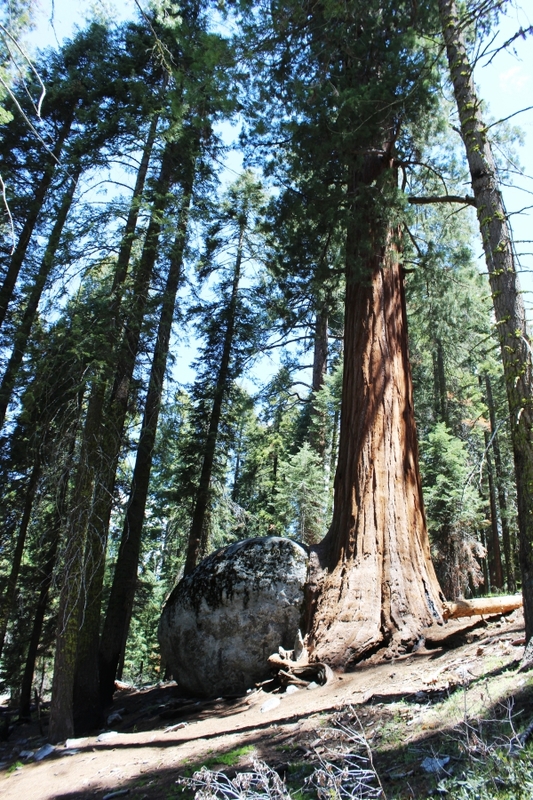 It truly is another must-do family hike in Sequoia. You can watch a video of our climb below. 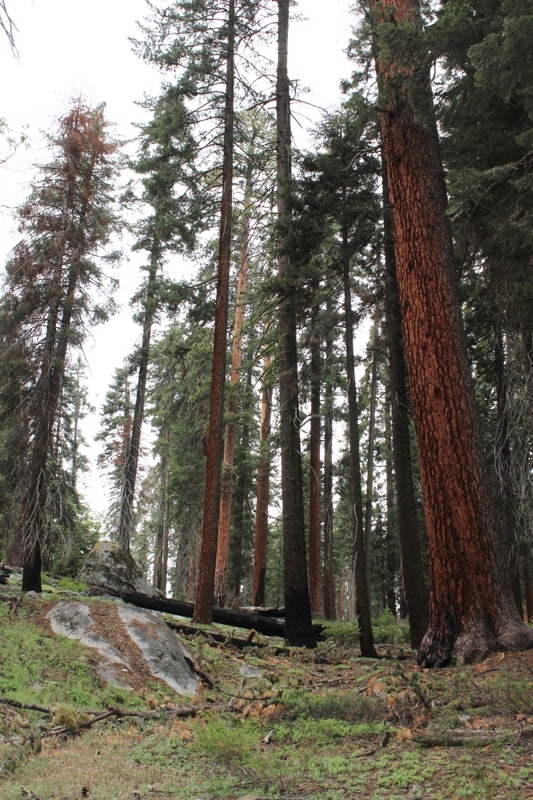 After two days, we felt we had a sense of Sequoia. 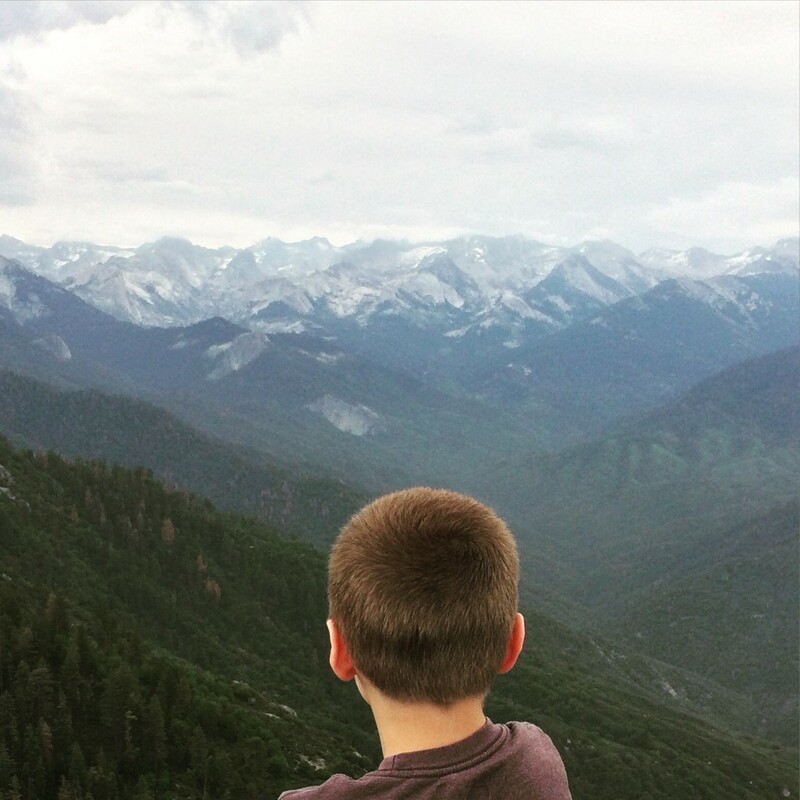 Our family had hiked to Tokopah Falls and Moro Rock, we had seen the famous trees, we had dipped our toes in the river, we had treated ourselves to some delicious ice cream in Lodgepole Village, and we had learned a lot at the Giant Forest Museum. Unfortunately, we didn’t have time to explore the Kings Canyon part of the park or delve deeper into the woods. 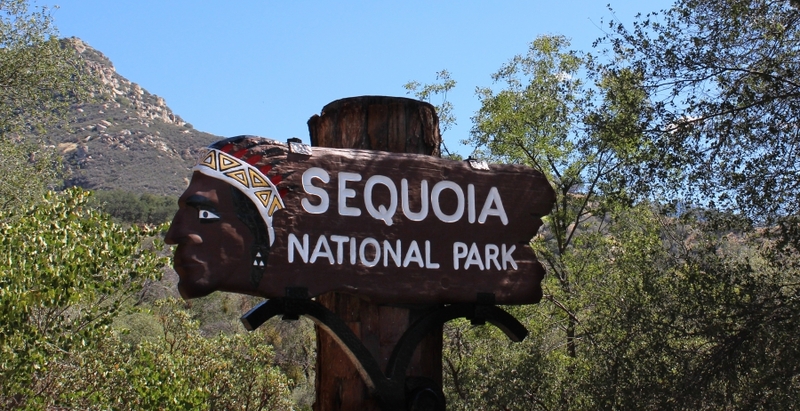 Sequoia is a huge park, and we only saw a small sliver. However, since we were heading to Yosemite National Park next, we didn’t mourn too long. Posted in: Places We've Explored. 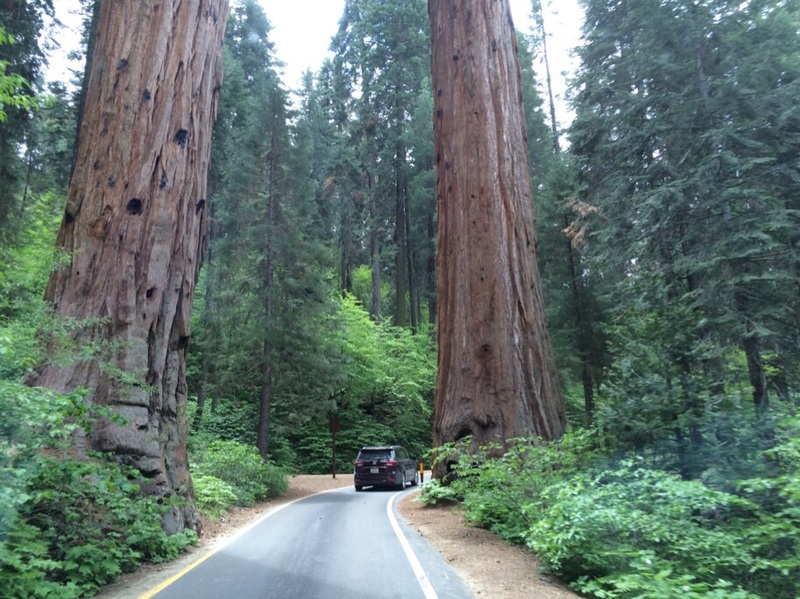 Tags: Birdy Goes West, California, Hiking, National parks, Sequoia. You are a gifted writer, and have truly brought this vacation to life for me! 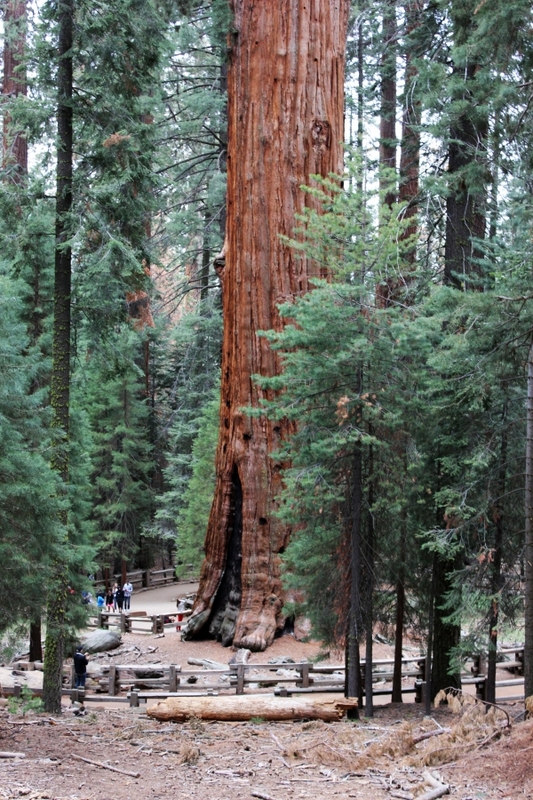 A visit to see the giants of Sequoia has been on my bucket list for many years. Thanks for sharing! Aww, that is so nice, Toni. Thank you! You’ll have to make a trip to California some day. My absolute favorite place ended up being the redwoods in Muir Woods near San Francisco, which I’ll write about soon. Happy travels! Thank you for sharing! . Your boys will always remember this. Thanks, Lisa! I really hope they treasure these memories!